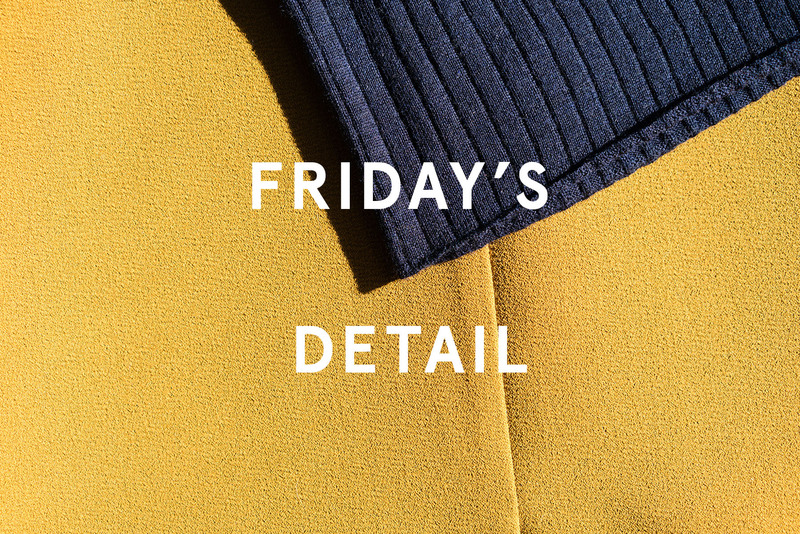 In an effort to create more content and keep my creative juices flowing, I have come up with these mini-series like this one and this new one launching today, called Friday's detail. Who knows if I'll fail and end up with a bunch of one-post things that don't make a proper series, but I'm definitely trying. Below is a recent favorite color combination of mine, manifested in this skirt that looks more like Marni than Cos and this ribbed mid-sleeved sweater. Mustard and Navy are always a good idea! Both are my favorite colours! Combination of navy and sepia look good too. The combination of these colours is so perfect!!! I need to wear them together now, thank you for the idea, and also thank you for your pictures!